If you are looking to create an oasis of calm in your living room and a pared-back ambiance, look to Nagaland brand, Woven Threads. Think clean lines, Mediterranean blues, geometric forms and minimalism. Nagaland brand, Woven Threads ticks all these boxes. It is a design initiative to encourage the women of Nagaland to sustain their roots by preserving the unique tradition of weaving, while providing a platform to support and mentor young weavers. They create handmade contemporary textiles and assert that these four words sum up their products – contemporary, minimal, style and comfort. Check out for their cushions and throw pillows, rugs and runners in all-white, shades of ocean blues and blue and white. Started in November 2014 with a single weaver, today their weavers are located all across the state. They make their products on the loin loom, a small loom that can be balanced on your lap while sitting (hence the name). Because of the flexibility it offers, the weavers are able to work from their homes and continue to practice vital seasonal farming activities such as paddy cultivation. The weaving methods carry on the traditional ethos of fabric making that generations before have practiced. Most of the products are not only hand woven, but also hand seamed. The fabric used is off the loom, with minimal, and where possible, zero wastage. Extra pieces are made into other products such as pouches and bags. We can't think of anything to fault with this brand, really. Don't put these in the machine. We suggest you handwash their products in cold water so they don't get damaged. 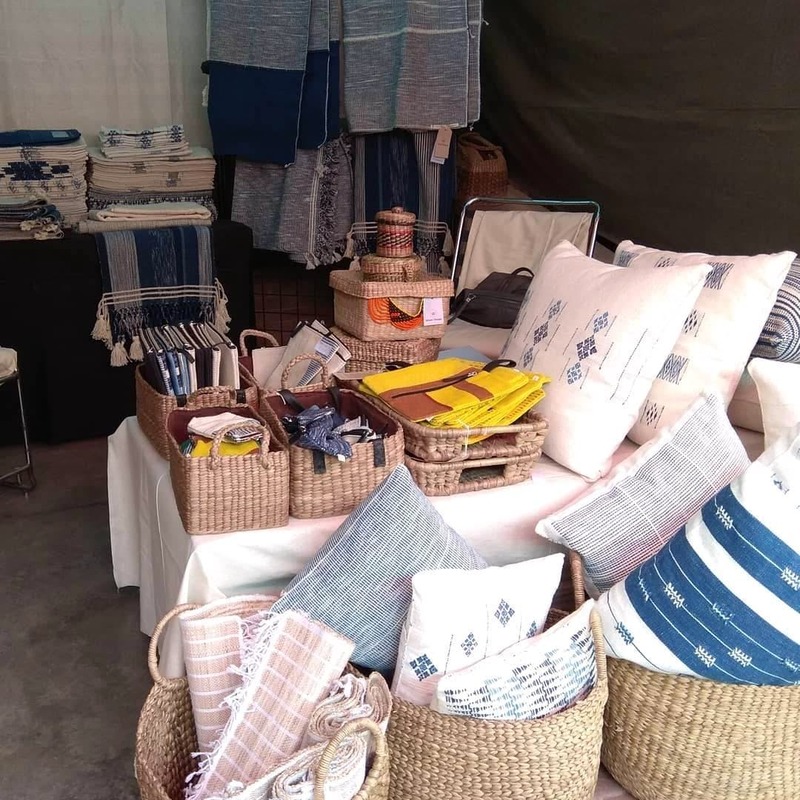 You can order online on the FB page and site but also look out for their products at annual craft pop-ups like Design Bazaar or Nature Bazar (by Dastkar) in Delhi.